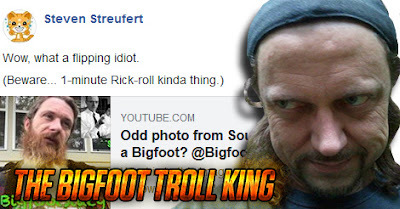 Off the Rictor is the funniest Bigfoot show on Facebook! The nonsense is boundless over a mythical creature that may or may not exist. Topics include animal abuse by Thomas Sewid, MK Davis' followup to Rictor, Jameson Duffy's death threat against Rictor, and a pickled Bigfooter, Jerry Cline making a fool out of himself. Rictor takes on Bigfoot game player, MK Davis! On this special Off the Rictor, Rictor takes on MK Davis who reveals him to be a master game playing manipulator. The outrageous accusations and mental delusions MK has made about Bigfoot legends like John Green, Rene Dahinden, and Bob Gimlin are all presented by Rictor by showing you MK's videos and actual words. This is a show you don't want to miss. Sadly, we have to once again report on this individual in the Bigfoot world. 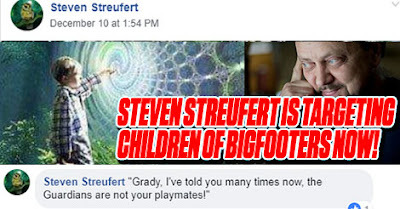 Now Steven Streufert is attacking Stacy Brown Jr., the winner of the Ten Million Dollar Bigfoot Bounty and film maker who just recently lost his father. Perhaps it's true that Steven Streufert is a psychopath after all. 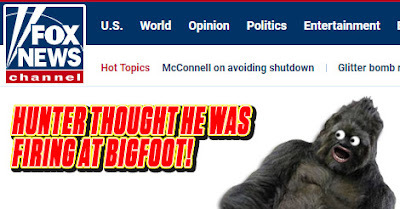 What a year 2018 has been in the world of Bigfoot. 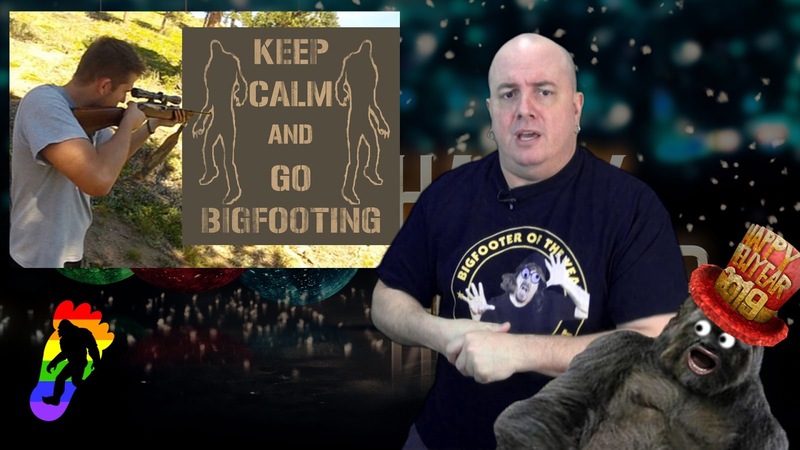 In this New Year's Holiday Special of Off the Rictor, Rictor Riolo takes on the top 10 events that happened over Bigfoot! Hunter thought he was firing at Bigfoot! 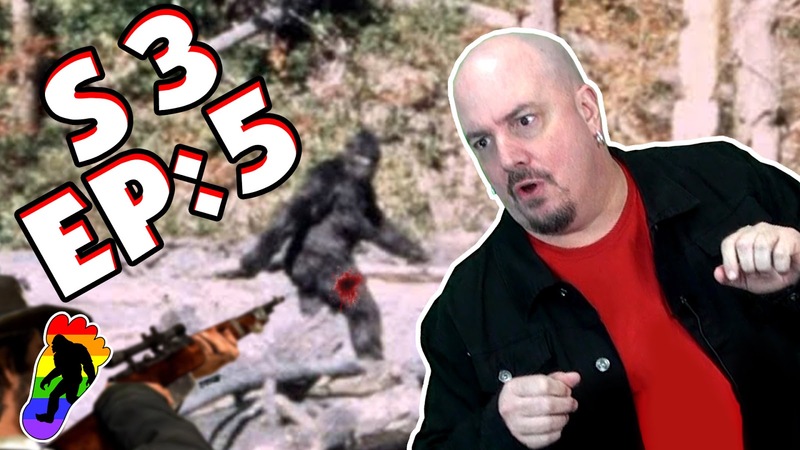 Targeting Children in the World of Bigfoot! We posted an editorial on the lack of a moral compass on Steven Streufert earlier this week and we are even more confounded to share with you how he now targets children of Bigfooters with his online ridicule and harassment in his Facebook group. 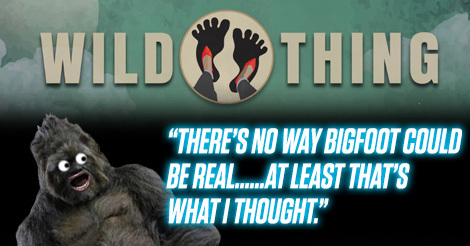 In the world of Bigfoot there is nothing but drama, personal differences, online trolling, and egos running a muck. "Off the Rictor" is a YouTube show poking fun at the circus known as the Bigfoot community. 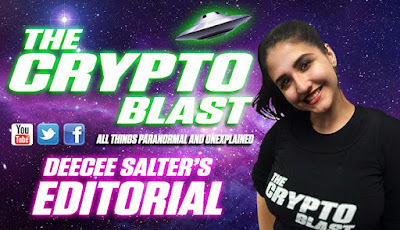 As with anything that is public, there are those that hate and attack from the safety of their computer monitors and target Rictor Riolo and his popular YouTube Bigfoot show. On January 18, 2019, Bill and Amy from Bilco Productions look deeper into the Bigfoot Community at what some refer to as the "Woo Crowd". Taking an open minded, unbiased approach at the subject they were able to include many well known researchers in the field, published authors, professors, and boots on the ground individuals. 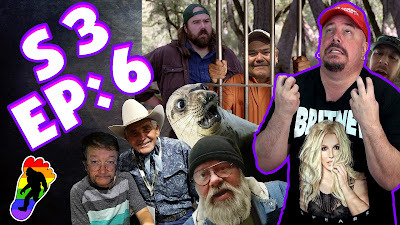 The cast includes, Bob Gimlin, Russell Acord, Ron Morehead, Stan Gordon, Tony Merkel, Christopher Noel, David Bakara, Arla Collete, Professor Darby Orcutt, and Avis Bailey. Be prepared to open you mind and think deeper into just what this elusive creature is. 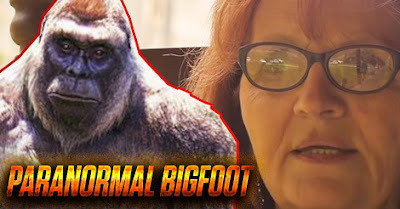 Laura Krantz is one of the smartest women in the world of Bigfoot. Perhaps it's because she is related to the late anthropologist Dr. Grover Krantz? 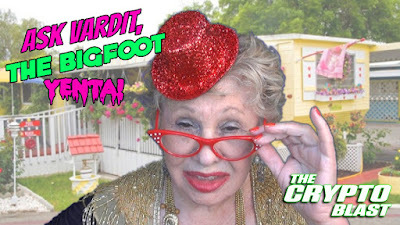 Suffice to say, she created an amazing Bigfoot podcast called "Wild Thing" and has interviewed many Bigfoot researchers and personalities over the past year. 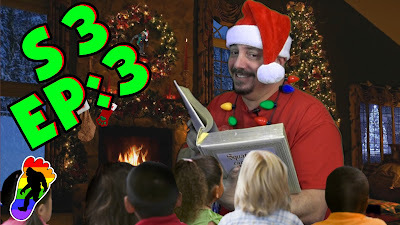 The funniest Bigfoot show on YouTube just gave you the gift of Rictor! Gather around, little squatchmonsters, it's time to celebrate Squatchmas!